Active Protocols: A-371-1 and A-371-2 are to be contained at Site-002 in a 0.2 meter by 0.3 meter by 0.3 meter glass case. Under no circumstances besides testing purposes is A-371-2 to be inserted into A-371-1. Instances of A-371-3 must be neutralized if A-371-1 is active, unless if part of a test. If an instance of A-371-3 is alive when A-371-1 is deactivated, it is to be quarantined. Corpses of deceased instances of A-371-3 are to be retrieved by 2 D-class personnel in full HAZMAT gear. Replication of the startup screen of A-371-1 when A-371-2 is inserted. 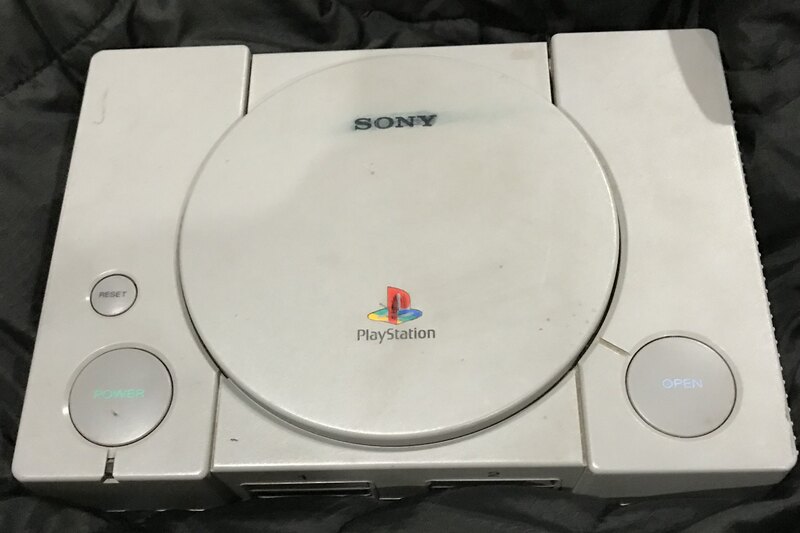 Description: A-371-1 is a SCPH-7501 model Sony Playstation video game console, manufactured in 1998. Any Playstation game inserted into A-371-1, with the exception of A-371-2, will function normally. A-371-2 is a completely black CD-ROM disc, matching those of Playstation game discs, with the exception of a blank front side. 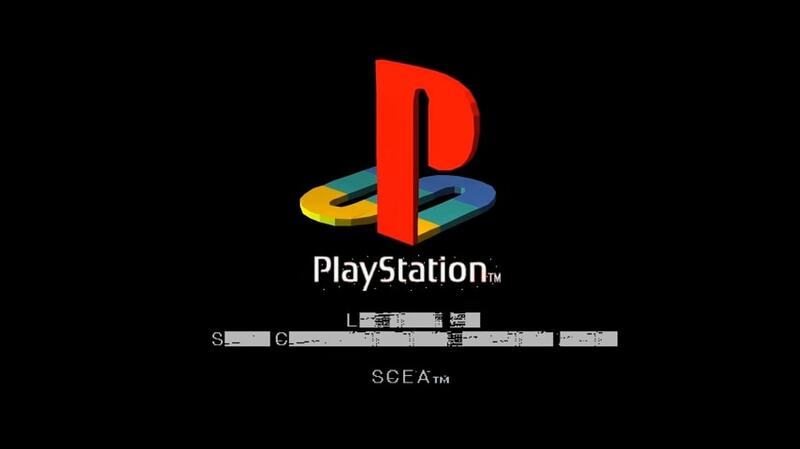 If A-371-2 is inserted into a non-anomalous Playstation console, A-371-2 will cause in the immediate corruption of the unit's BIOS, rendering the system inoperable. A-371-1's anomalous properties manifest when A-371-2 is inserted into A-371-1. Upon powering on A-371-1 with A-371-2 inserted will cause a startup sequence near identical to a unreadable disc warning, with the modchip detection warning sound combined. Replication of the image produced by A-371-2. A-371-2 loads 1 minute after the startup sequence. A-371-2 contains an ASCII image of an instance of A-371-3 that heavily resembles former Romanian leader, Nicolae Ceausescu. Upon entering this stage, A-371 is to be considered a cognitohazard. Upon 3 minutes of looking at the image produced by A-371-2, the subject will express a strong desire to continue looking at the image. Upon 5 minutes of looking at the image produced by A-371-2, the subject will express extreme feelings of paranoia, fear, and rage. Upon 15 minutes of looking at the image produced by A-371-2, the subject will possess suicidal thoughts, but, they will not act upon them. 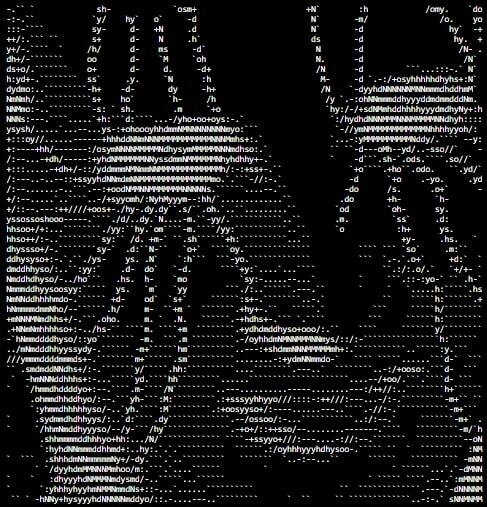 Upon 30 minutes of looking at the image produced by A-371-2, the subject will begin to mutate. Mutations include: blackened veins, red sclera and black irises in the eyes, sharpening of the subject's teeth and fingernails, and vein-like tendrils appearing inside of the subject's skin. The subject is now to be referred to as A-371-3. Instances of A-371-3 retain human intelligence, and, when A-371-1 is turned off, are oddly non-hostile towards humans unless provoked. It has been revealed that instances of A-371-3 worship the "Box" as a form of deity. Instances of A-371-3 are hostile towards pre-transformation subjects viewing the image produced by A-371-2, and individuals within a 20 meter radius of A-371-1 when active. A-371-3 instances are capable of spreading the mutation by scratching, biting, or releasing tendrils upon human subjects. Discovery: A-371 was discovered on 12/█/1998 when a mutated, unidentified man attacked and killed his entire family in his household in the small town of █████, Saskatchewan, Canada. The man was later identified as ██████ █████, a 35 year old man who was well liked in his community. A-371-3 later walked into the street before being killed by local law enforcement. The room originally containing A-371-1 was filled with tendrils. The Government of Canada quickly heard of the incident, and informed the Initiative. After A-371-1 and A-371-2 were recovered, The █████ residence was demolished and amnestics were put into the town's water supply. Procedure: A D-class was assigned to view the image contained on A-371-2, and after doing so for 30 minutes, was put in a test chamber with 4 other D-class personnel with A-371-1 turned on. Results: The D-class, now an instance of A-371-3, proceeded to attack the 4 D-class personnel. A-371-3 bit one of the D-class, causing the process of mutation. One of the D-class picked up an exposed pipe, neutralizing the initial instance of A-371-3 via blunt force trauma. This action also caused the death of the mutating D-class, who was halfway into the process. Both bodies were retrieved by teams of D-Class personnel wearing full HAZMAT gear. The bodies of the deceased A-371-3 instances were cut open and examined, showing no changes in any internal organs. The half-mutated instance showed no change in eye color, blackened veins, slightly sharpened teeth, normal fingernails, and collapsed tendrils, which were leaking non-anomalous blood. The half-mutated instance's brain was also cut open and examined. Intact tendrils filled the brain, leading from the eye sockets of the instance. The mutated instance showed all signs of exposure. The mutated instance's brain was cut open and examined, showing the exact same results as the half mutated instance. Procedure: A D-class was assigned to view the image contained on A-371-2, and after doing so for 30 minutes, was put in a test chamber with 4 other D-class personnel with A-371-1 turned off. Results: The D-class, now an instance of A-371-3, looked at the 4 D-class personnel. A conversation was soon held between one of the D-class and A-371-3. A-371-3: "I have to disagree with your statement. This is an improvement in every way. The box changes all." D-7123: "So, what is this "Box" you are referring to, freak?" A-371-3: "The box. The box has assigned me to protect it, but, it is not giving instructions right now, and I am no freak." Closing Statement: After the conversation between D-7123 and A-371-3 was recorded, the D-class personnel were sent back to their cells, and A-371-3 was neutralized with a round from a high-powered rifle. 2 D-class personnel were sent to retrieve the body of A-371-3. Procedure: A D-class was assigned to view the image contained on A-371-2, and after doing so for 30 minutes, was put in an unoccupied test chamber. Another D-class was assigned to put on A-556-1, and after doing so, was put in a test chamber with A-371-3. 4 D-class personnel were put in an adjacent test chamber with A-371-1 turned on. Results: The D-class, now an instance of A-371-3, oddly did not attack the D-class wearing A-556-1. When the D-class wearing A-556-1 became A-556-2, A-371-3 stared at A-556-2. A-371-3 outstretched its hand, which A-556-2 shook. shortly after that, A-371-3 pointed towards an adjacent test chamber, which was containing A-371-1. A-556-2 looked in the direction that A-371-3 was pointing towards, and then turned around. A-556-2 lunged at the observation chamber, breaking inside. A-556-2 then proceeded to kill the observing researcher inside. A-556-2 then spit its acidic blood over the test control panel, shorting it out. this caused the test chamber door to open. A-556-2 and A-371-3 then entered the adjacent test chamber together and [DATA EXPUNGED]. Afterwards, the test chamber containing A-556-2 and A-371-3 was locked, and a memetic kill agent was broadcasted inside the room. This neutralized both A-556-2 and A-371-3. Electricity to the chamber was cut off temporarily, turning off A-371-1. Afterwards, 4 D-class in full HAZMAT gear recovered the corpses of both A-556-2 and A-371-3. A-556-1 and A-371-1 and -2 were recovered and recontained. "This test shows that instances of A-556-2 and A-371-3 are capable of having a mutual relationship. The danger of this possibility will cancel all further testing involving these two A's together." - Senior Researcher Ruslan Tursynbekov.